They offer a fantastic, uplifting show, full of humor, passion for life and love for each other. Their music is a unique blend of rock and opera incorporating Native American flute. 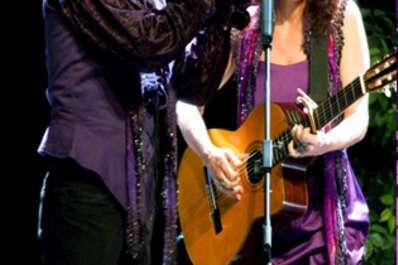 Armand and Angelina will be performing their versions of Hallelujah, Age of Aquarius, songs from Phantom of the Opera plus their own original love ballads and humorous songs.